As beauty editors, we geek out over celebrity makeup artists even more than we do over actual celebrities. In Los Angeles, there are only about 25 makeup artists who work with the top-tier entertainers on photos shoots and red carpets, and every time we get to meet an artist from this exclusive list, we sort of flip out (and then make them tell us their best tips). Getting to meet Kara Yoshimoto Bua was a particular fangirl moment. Even if you don't know her by name, you definitely know her work. The incredibly talented official Chanel makeup artist has painted the faces of literally all our favorite people: Lily Collins, Rosie Huntington-Whiteley, Zoë Kravtiz, Emma Watson, Bryce Dallas Howard, and Halle Berry (I could go on). Oh, and did I mention she's one of the nicest, chillest ladies in the business? Earlier this year, we hung out with Bua for a few hours as she re-created one of Jessica Biel's red carpet looks on me (we captured the whole thing on Facebook Live). She squeezed tons of cool makeup tricks into that afternoon, but we decided we wanted to pick her brain even more. So we asked our Instagram followers to submit a few more makeup questions for Bua, chose a few, and scored her answers. Keep scrolling to learn six essential makeup tips from the genius who does Zoë Kravitz's and Rosie HW's makeup! Bua says the number one makeup mistake she sees real women make is covering their entire faces in foundation. Not only is difficult to blend this much makeup realistically into the neck and hairline, but additionally, the finish just won't look as glowy as Bua's flawless-faced clients. "It's not beautiful to cover up your whole face with too much base makeup—it can look like clay," she says. Instead, allow as much skin to show as possible, and keep the makeup sheer. (You'd be surprised how little you actually need). 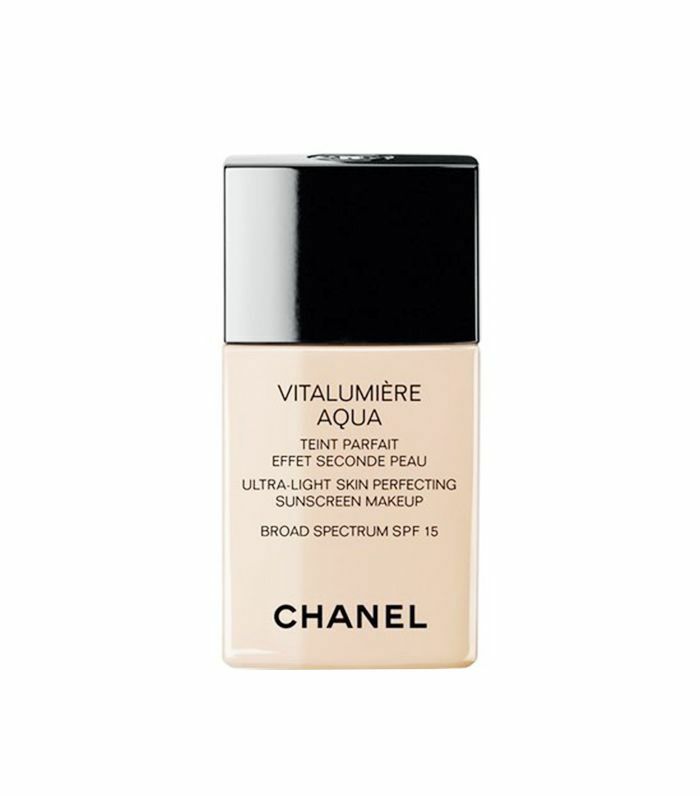 Bua recommends Chanel's Vitalumière Aqua Ultra-Light Skin Perfecting Sunscreen Makeup SPF 15 because it's pigmented but leaves a finish that looks like real skin. She uses her fingers to wash the makeup "lightly over red areas and layer as a concealer under the eyes or for spot coverage." Byrdie readers (and editors, for that matter) are all desperate to know how to create a glowy, flawless face that stays put all day but doesn't look cakey. This, as it turns out, is Bua's specialty, and for her, it all comes down to the first step: skincare. On all her celebrity clients—from Rosie to Zoë—she starts out not with a silicone-type primer but with moisture. Bua swears by rose water. (She says she would "bathe in it" if she could.) 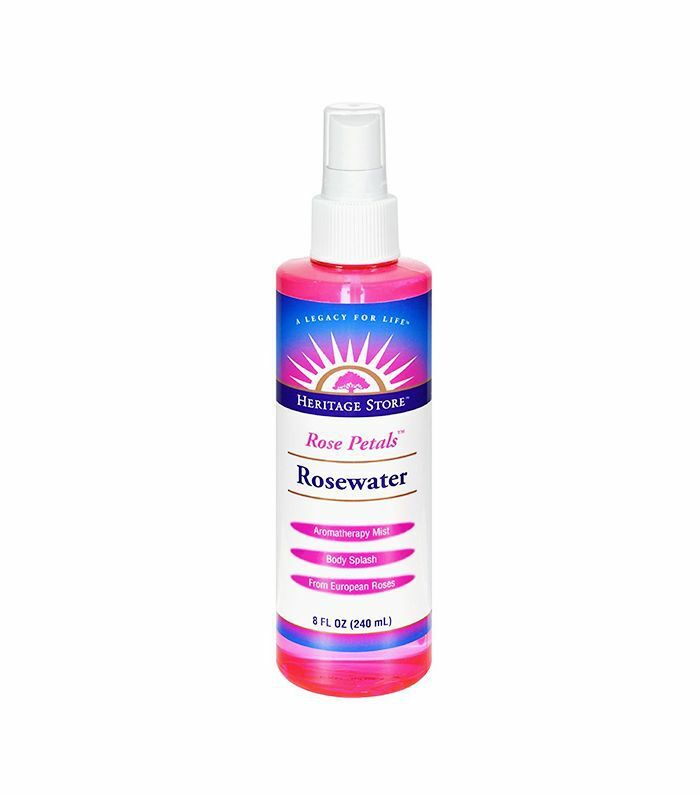 She spritzes a rosewater mist from Heritage onto the face before layering on a lightweight face oil or moisturizer. (She always uses Caudalíe's Vinosource Moisturizing Sorbet, $39, on Rosie.) Then, she follows up with the foundation technique described above, and voilà. There's still a place and time for a little contour action, but on clients like Jessica Biel and Lily Collins, Bua is way more about the blush. 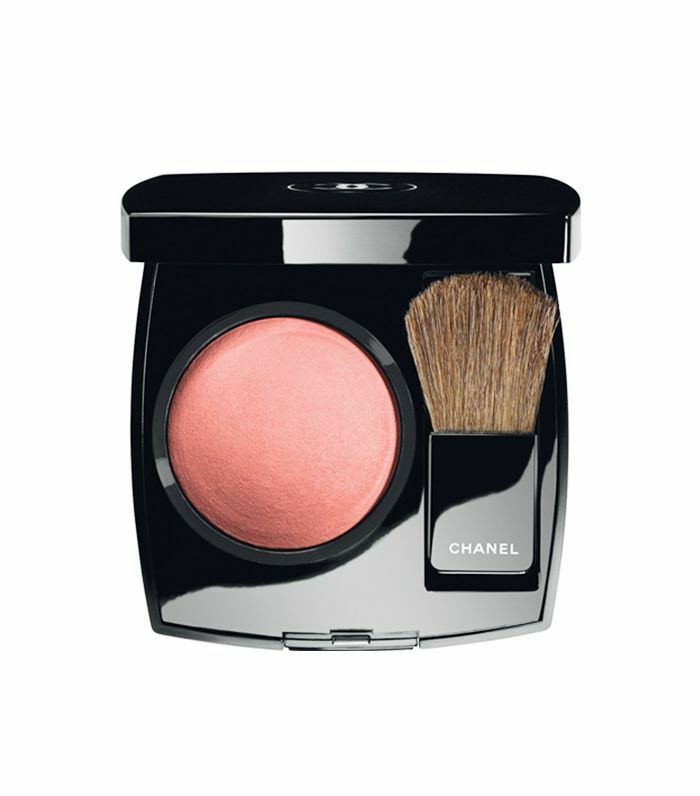 She dips a big, fat fan brush from It Cosmetics into a powder blush (Chanel's Joues Contraste in the coral-pink shade Malice is a favorite), then she taps off the excess product and sweeps the color from just under the apples of the cheeks all the way up the cheekbone. She also applies some to the bridge of the nose. All of this creates a more natural, sun-kissed look, as opposed to an artificial circle of blush right on the apple of each cheek. Plus, since the color is more evenly distributed throughout the face, you end up looking glowy and youthful, but not overly bronzed. Overlining the lips with lip liner is one of Bua's makeup pet peeves. "Instead of looking at the face, you look at the makeup," she says. To fake a larger pout, she actually uses a little bit of blush (a trick she's kept secret for so long she almost didn't tell us). After lining the lips within their natural borders and topping them with lipstick, she uses a lip brush to set the color on the top lip, cheating just outside the lip line. 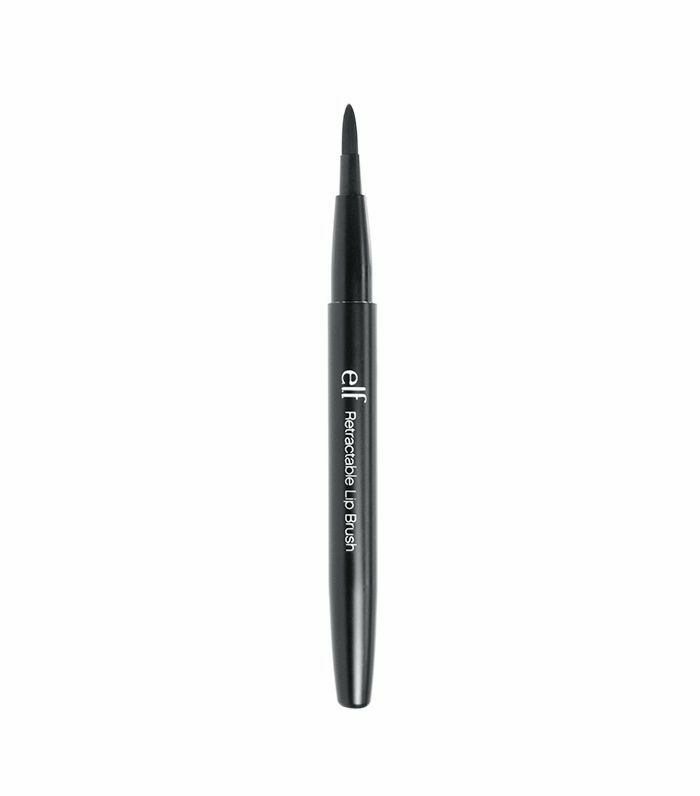 Not only does this keep the color from fading or smudging throughout the day, but it also creates the illusion of a larger top lip in a much softer way than lip liner would—so genius. Bua says that whenever you're staring at your face (or a client's face) for an hour or two straight, you start to lose perspective on what the makeup actually looks like. This can be especially problematic when you're trying a new product or look—you could end up going overboard without even realizing it. To see the makeup in a new light, Bua recommends finding a different mirror in your house and standing as far away from it as possible to see the look in context. Or take a couple selfies, and look back at them a few minutes later. Bua tells us that she used to watch her mom apply her makeup in the morning every day, and as a kid, she was "so annoyed" that it took an hour. "Little did I know I would become a makeup artist," she says with a laugh. Now that Bua is all grown up, she realizes that for her mom, and for so many women, putting on makeup is a form of meditation. "She wasn't even looking at herself," she recalls. "It was like a canvas." According to Bua, applying makeup is a ritual, one of the only times in the day where you get to be alone with yourself. "As I've gotten older, I've realized there are certain things you do for yourself, and it's not about narcissism or vanity (well, maybe a little bit), but a lot of it is just about taking those moments to do something for yourself," she says. "And when you have kids and so much going on, that's really important." So don't feel guilty about spending time on your makeup. It's just as much for your brain as it is for your face. Next up, Dior's creative director reveals his least favorite makeup habits.